Getting cheese all over our vegetarian dosa, Indian style savory crepe from a tasty Indian restaurant in Takoma Park, DC’s unique artsy suburb. Now that we been introduced to paneer we just can’t get enough of it. 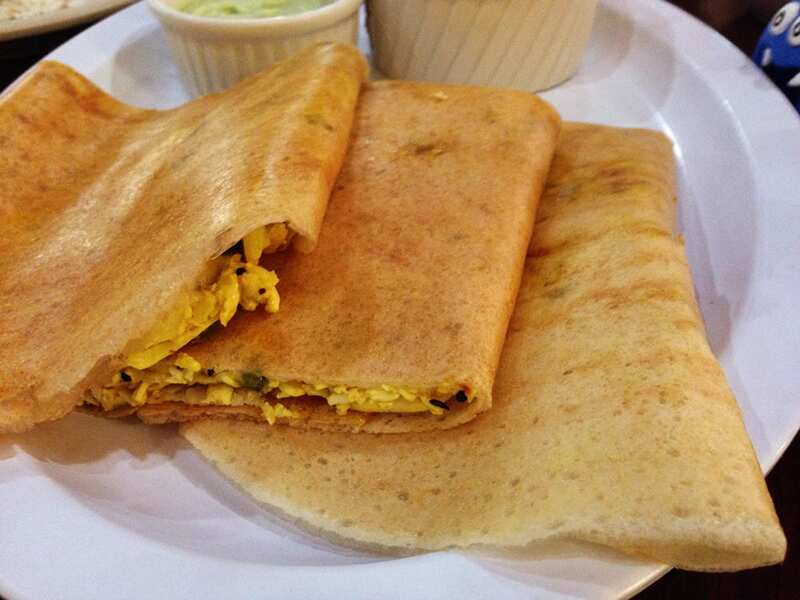 Dosa is one of the few Indian dishes that we familier with and a big fan of. 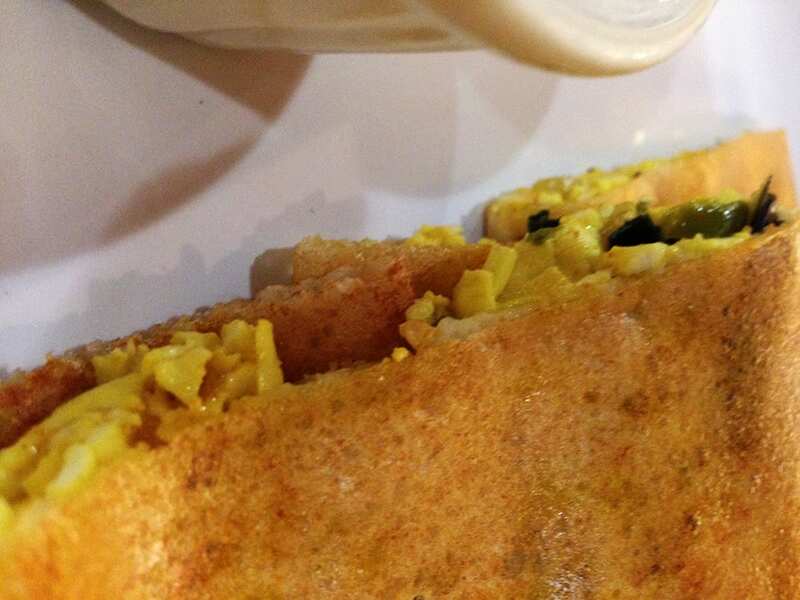 A South Indian dish, dosa is a fermented thing crepe made from rice batter and black lentils. Usually packed with some nice and tasty stuff on the inside. Most of the times its served hard and very crunchy, but this is more of a crepe and soft kind of a dosa. Stuffed with some very nice shredded fresh an unaged, acid-set, non-melting paneer cheese. It has a very similar to blue cheese flavor, but with a different texture. Usually comes as blocks, its shredded in this dish which gives it a much lighter texture. Can’t have dosa without some very nice dipping sauces, ranging from mild to super spicy. 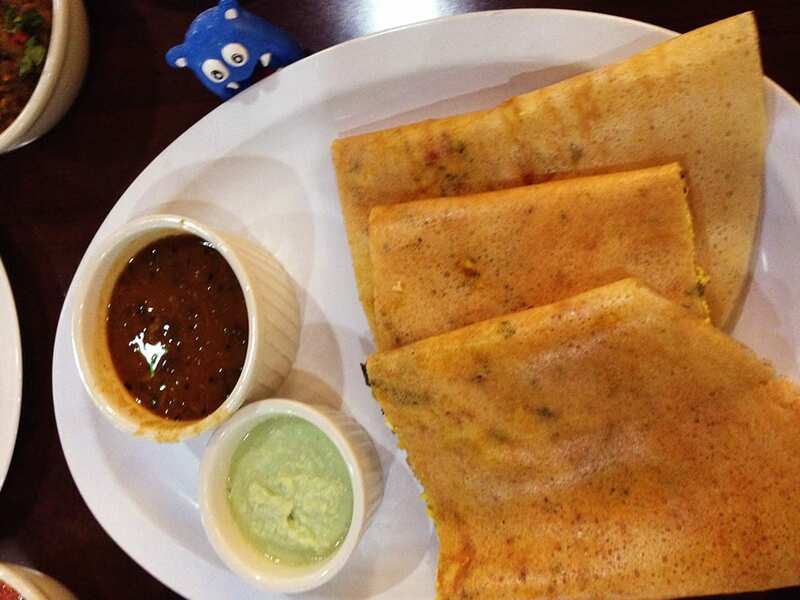 Smaller then some other dosas, but they are heavily packed with paneer cheese mix. They will fill you up fast, its really best to share with friends so you can enjoy more of their fun menu. Its a very tasty dish perfect for vegetarians ad even meat lovers like me.